Harpsden is a small village located very close to Henley-on-Thames with a small church and golf course. 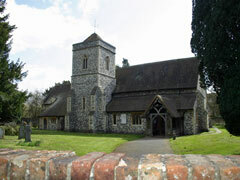 A view of Saint Margaret's Church in Harpsden looking over the wall that surrounds it. 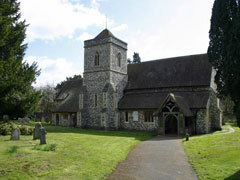 A nice view of Saint Margaret's Church in Harpsden. 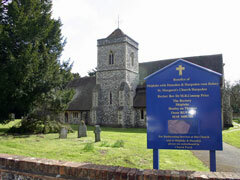 The information board outside Saint Margaret's Church in Harpsden. 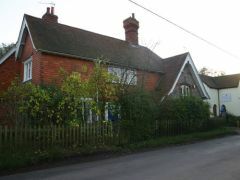 The old school house situated alongside a country road in Harpsden village. 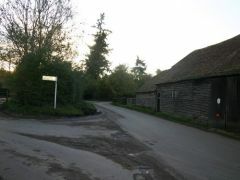 The country road that passes through Harpsden village. 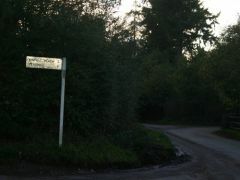 A small signpost indicates the distance and direction to Binfield Heath and Reading from Harpsden. 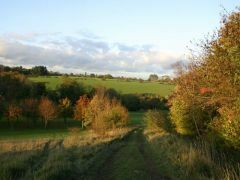 There is some stunning countryside around the Harpsden area. This photo shows some of the Henley Golf Club course. 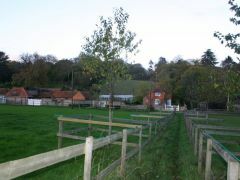 A footpath crosses a field located in the area surrounding Harpsden village. 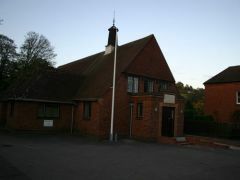 Harpsden Village Hall is located right at the centre of the village. Harpsden Pre-School meets here on Monday to Thursday mornings. 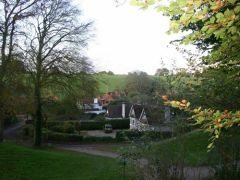 A few houses that are situated within the beautiful Harpsden countryside. 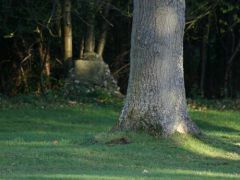 The former site of a roman villa in the area around Harpsden village.